A wood-trimmed school chalkboard with a magnetic surface. This classroom chalkboard is constructed of Porcelain Enameled Steel (50-Year Manufacturer Guarantee). 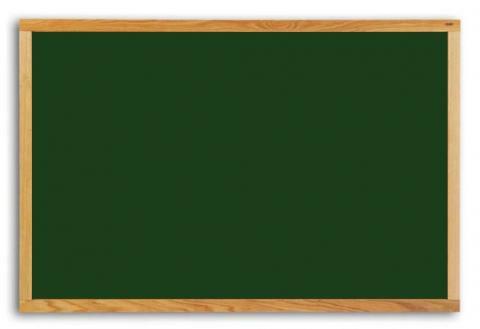 The high-contrast, green chalkboard surface is magnetic and framed in solid wood with an Oak finish. A full-length accessory tray is included. Choose the chalkboard size that best accommodates your school's classrooms.